As reviews on the new iPhone 6 and iPhone 6 Plus start pouring in, one common thread keeps surfacing among critical reporters: The bigger devices are awkward to handle, slick, and easily slip out of hands. So even though #BiggerThanBigger may be better, you’ll need a #SlimmerThanSlimmer durable iPhone 6 case phone case with extra grip to get the perfect hold on your iPhone 6 and iPhone 6 Plus. 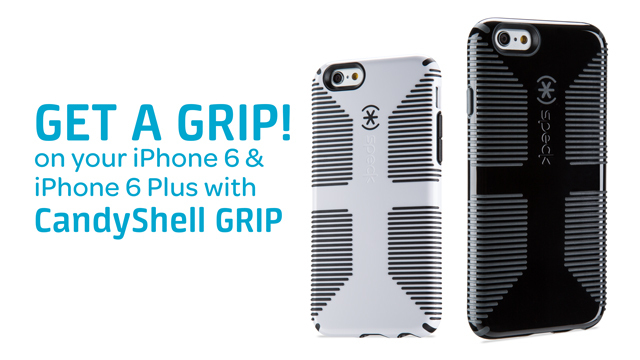 So shop CandyShell Grip from Speck and kiss those butterfingers goodbye.